It feels weird, to the point of claustrophobia, to stand in the tiny underground cell. The whole space measures no more than six square metres. The walls are lined with wood and the simple furniture consists of a wooden table and bench, with a metal stove in the corner. Under a dim light one sees the relics of World War II, or the Great Patriotic War as it was known in the Soviet Union. There are weapons and helmets, and even wartime teacups, evoking another era, when desperate handto- hand combat took place in the vicinity almost 70 years ago. A winery complex is an improbable location to visit the dugout, but then this is Myskhako, a historic battleground where some of World War II’s bloodiest battles were fought. Geographically, Myskhako is located on a hilly promontory on the Black Sea, to the south of the great city port Novorossiysk. It also lends its name to a local winery, originally founded back in 1903, which is now a leading producer of quality Russian wines. 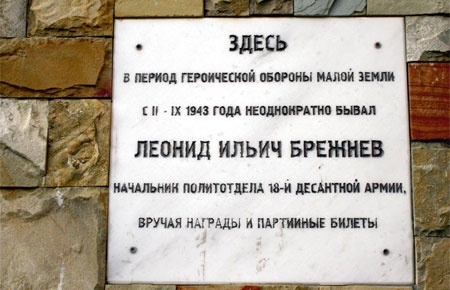 In Soviet times, Myskhako wines were reserved solely for the Communist Party elite, largely thanks to one time General Secretary Leonid Brezhnev, who incidentally fought in the area during the war. In the mid-nineties the former state farm, including the vineyards and production facilities, was privatised. The current management team arrived in 2002, to open a new chapter in the winery’s history. From a natural perspective, the southern slopes of the Myskhako promontory are an excellent spot to grow grapes. The sea, which is never far from view, tempers the hot summers whilst making the winters mild. The splendidly named Koldoon, or Wizard Mountain, helps protect the area from harsh northerly winds and bad weather. Soils are composed mainly of marlstone. The hardened marine deposits, containing a high content of calcium, are suitable for growing a number of grape varieties, particularly white and they also introduce a subtle mineral character to the wines of the area. These superior natural conditions for the growing of grapes were not missed by the ancient Greeks, who spread their culture of wine everywhere they travelled. Novorossiysk is in fact built on the site of the ancient Greek colony of Bata. 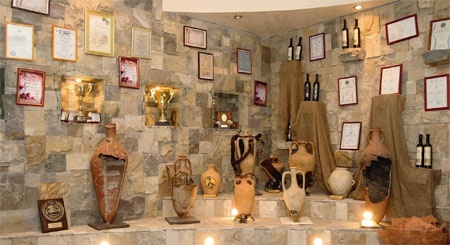 Numerous artefacts, some of which are kept at the Myskhako winery, confirm that winemaking and its associated trade thrived in the times of the ancient Greeks, if not before. More recent history dates back to 1869, when a local landlord planted the vines which prompted a new revival in Myskhako winemaking. While the modern vineyards continue to enjoy a wonderful natural position, their existence has come under threat from another, not entirely surprising source. Their privileged seaside location means that the expensive strip of land they currently occupy is in high demand for construction. The Myskhako vineyards are thus encircled on all sides by numerous buildings, from simple country houses to upgraded resort cottages and city skyscrapers—not the entirely bucolic landscape one would usually associate with wine-growing. So far the winery hasn’t really been intimidated by the urban sprawl. The Myskhako property extends over 650 hectares, of which 330 are vineyards producing wine grapes. Another 225 hectares are planted with young vines; they will start to yield suitable grapes in the next few years. Unlike many other Russian producers, who buy in grapes or bulk wines, Myskhako works only with its own harvest, thus its origin is always guaranteed. About a dozen grape varieties are cultivated, both red and white, local and international. Chardonnay, Sauvignon Blanc and Riesling dominate among the whites. The reds are mainly represented by Cabernet Sauvignon, Pinot Noir and Merlot. New plantings will soon add white Aligote and Pinot Gris, and red Cabernet Franc and Shiraz. Many vineyard operations, including harvesting, are done by hand. It is also important that the vineyards and the winery are located in close proximity. Chief wine-maker Roman Neborsky says that the furthest plots are just three kilometres away and so it takes a maximum of 20 minutes to transport grapes to the winery. Incidentally, the legacy of the war is still very much in evidence at the Myskhako vineyards. Workers still find remains of guns and even undetonated bombs among the vine rows. As in any winery, harvest is the busiest time at Myskhako. The harvesting period lasts about two months, from the end of August to the end of October. White grapes are picked first, then it is the turn of later ripening red varieties. The buildings of the winery were inherited from Soviet days but, inside, old equipment has been replaced by modern stainless steel vats with temperature control. A new fermentation room looks particularly impressive. Roman Neborsky notes proudly that they have installed seven different types of fermentation vats, in order to “meet the needs” of each grape variety. Myskhako, by the way, is the first Russian winery with the ISO certification. It was also the first to bring in an acknowledged international consultant. London-based Australian John Worontschak has followed the vineyards and wine-making processes in Myskhako for nearly ten years. 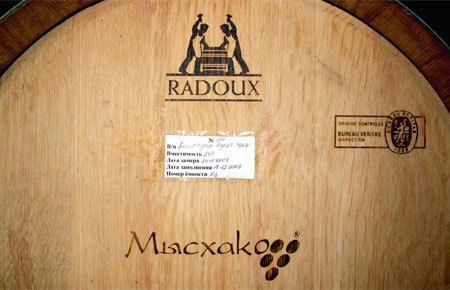 In accordance with the best international practices, Myskhako ages its top wines in small French barrels, supplied by a leading French cooperage. Two hundred barrels, a substantial investment for any winery, are kept in a dedicated cellar where wines slowly mature in perfect conditions. Myskhako also uses Russian oak. Red wines aged in Russian oak barrels may be an acquired taste due to smoky, tarry aromas and a certain rusticity of flavours, but this style has its fans. The range of Myskhako wines is wide and diverse. There are wines of all colours and styles, from light white sparkling to viscous ice wines, from young, Beaujolais nouveau type to serious structured reds. Not long ago the winery launched a new, super premium Grand Reserve label. The range consists of Chardonnay, Merlot and Cabernet Sauvignon. These are the most ambitious Russian wines, both in terms of quality and price, offered today. The current releases on the market are 2009 Chardonnay, 2007 Merlot and 2006 Cabernet Sauvignon. All wines undergo extended aging in French barrels and then in bottles. I find Grand Reserve Merlot particularly successful: rich, deep and complex, combining red fruit, spices and chocolate. The wine still appears young and will improve with further cellaring. If you happen to travel to Novorossiysk, it’s worth setting aside a few hours to visit Myskhako. The winery welcomes visitors for tours and tastings. My favourite spots are the restaurant and the adjacent tasting room, all done with a nice artistic touch. The interiors of the Wine Pub, as the restaurant is called, are decorated with local stone, the same as found in the vineyards, and the atmosphere is enhanced by works of art created by a local artist. In the tasting room, the walls are adorned with more installations, by another local artist, who uses natural and man-made objects to make unconventional pictures. There is also a small archaeological display with genuine Greek amphorae, excavated in the area. carefully preserved from the Brezhnev times. And then, of course, there is the wartime dugout, hidden at the end of a small cellar for sparkling wines, making a lasting impression. Thankfully, the winery is careful not to make these relics a sole point of attraction, but they certainly add flair to the total Myskhako wine experience.